I'll proudly admit it -- I'm a tradition lover. I grew up in a home with many traditions & I am so grateful. I love looking back on memories with my sisters and brother that we have created through these traditions! 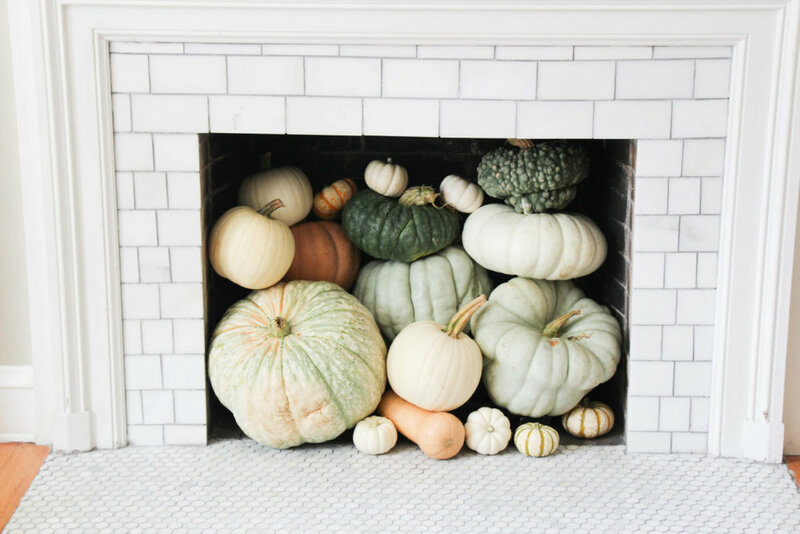 So, today I'm sharing my top 10 favorite fall traditions!! I want to hear what traditions you have - i'm always wanting to add to ours! We are lucky enough to live in Utah, surrounded by the gorgeous mountains. Fall is BY FAR my favorite time of year here. The leaves changing their colors amaze me every year. Hunter could tell you that each time we get in the car i say, "wow, the mountains look so pretty!" Its honestly surreal. I love driving up the canyon to admire the leaves & take photos. I am a pumpkin FREAK. I love it in almost anything. Waffles are one of my favorite ways to taste the yummy pumpkin flavor! Topped with some maple syrup. Can't get tastier than that! Find a pumpkin patch near your home! We love going with my nephews every year! This year we get to add two lil pumpkins to the patch. Hunter LOVES donuts & he's got me fallin' for them too. I'm still working on tricking him into falling in love with pumpkin hot chocolate lattes. Donuts and hot cocoa topped with cuddling up in a blanket is our go-to! Whether its with your family, friends or neighbors - find a cute fall craft to make and maybe add some pumpkin chocolate chip cookies to the table! My sisters and I look forward to our fall craft night every year! This year we made these yarn pumpkin garlands! We CRAVE camping. Especially in the crisp fall air! We always have one last camp up the canyon - don't forget the hot dogs & marshmallows! Yumm. My mom takes my sisters & I to the Hobble Creek Barn Boutique every year. Its usually the weekend of my birthday which I love. I'm a sucker for boutiques! A given. But I can't leave it out! There are so many different ways to carve/decorate pumpkins - I will be sharing the best ways next week! So stick around for some fun ideas! Oooh and don't forget to bake the pumpkin seeds & salt them! Our best friends started this tradition with us a few years ago and we get excited every year! In Utah there is a ski resort that does a Moonlight Lift - we grab a blanket, our beanies and ride up and down chatting about life and old memories. I can't leave out decorating! This fall we are living in my parents basement until our new place gets finished - I was seriously emotional about not being able to decorate for fall. SO TAKE ADVANTAGE. Hang a garland, put a pumpkin on your porch or hang a halloween sign for me! What are your fall traditions? !